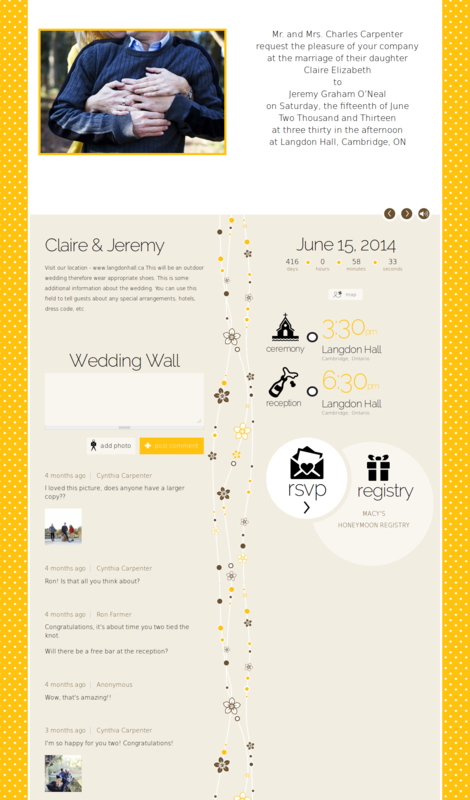 My Digital Wedding is a unique web service that allows users to create fully online wedding invitations. The invitation sites include a customized photo slideshow, co-ordinating Save the Date cards, RSVP's, Registry links, and a Facebook-style Wedding Wall to allow guests to leave messages. This was a large undertaking for my partner, Liam McDermott, and myself. He was responsible for the back-end web development and server administration, while I completed most of the front-end site building and theming. For the initial launch eight themes were developed for the invitation sites. All are responsive and most use Drupal's color module to allow users to customize their colour scheme (a market differentiating feature). An additional 22 designs are planned for 2013 as well as development of new features such as improved mapping of wedding locations, enhanced RSVP collection, and a gallery of photos uploaded by guests. This is an interesting project for a variety of reasons. 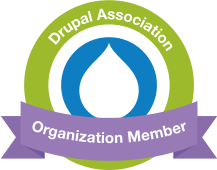 The implementation of the invitation sites is very different from a standard Drupal site. Among other things, placement of things that would normally be controlled through the user interface had to be controlled by the theme instead. 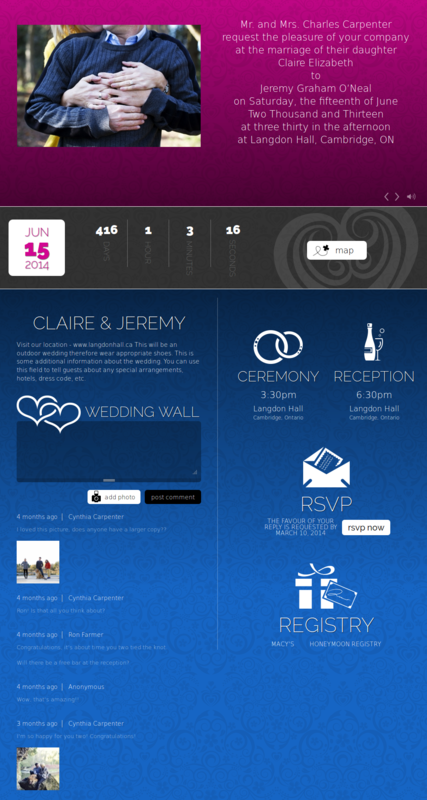 That is, each theme has a specific placement for elements like the registry links and RSVP buttons. To do this we had to find a way to hard-code these elements into the template files. This was done with the creation of a $wedding variable which allowed us to access various information and render it directly in the theme files.